7 Mile House was built circa 1858—but not as a mile house. It was first constructed as a toll gate approximately seven miles from Portsmouth Square. It is proudly the Bay Area’s last ‘mile house’ left standing in its original location. Mile Houses, established in the mid 19th century, served as old stagecoach and wheel exchange stops, hotels, and sundry shops, where horses rested and riders or drivers took a break from the arduous travel. 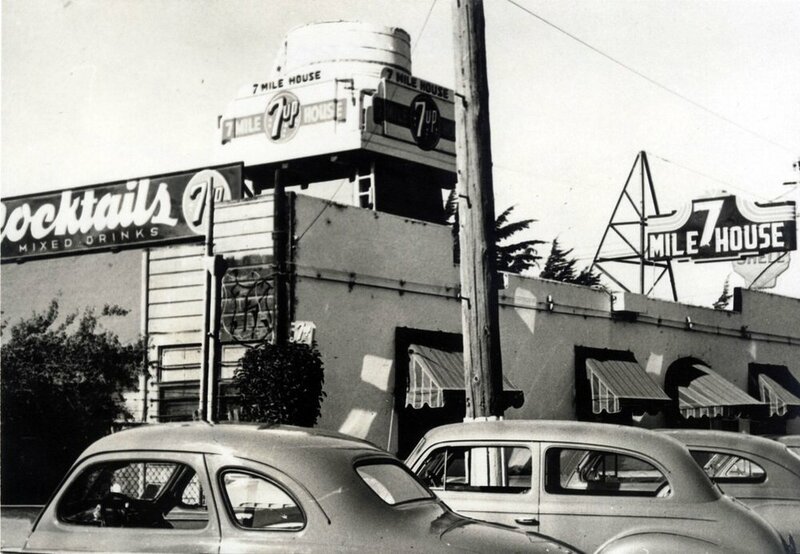 Later, mile houses evolved into popular neighborhood watering holes. In the case of 7 Mile House, it's said it even became a brothel. The 7 Mile House has stood as witness to some of San Francisco’s more colorful, albeit sometimes notorious, moments in history. In the late 1890s, an illegal poolroom operated from behind the pub—probably the first recorded incident of the many illegal gambling activities that happened in 7 Mile. These continued from the early 1910s to the early 2000s, with cards, claw machines, and sports betting as the gamblers' choice of play, depending on the era. During Prohibition, when the neighborhood now called Brisbane was known for moonshining and bootlegging, 7 Mile House's proprietor was arrested for possession of a whiskey still and transporting alcohol in a Federal raid. As the railyard activities around the area declined, 7 Mile House became more and more isolated, and was known for its rough atmosphere with truckers frequenting the establishment. By the 1980s, the bar was known as the "Rykoff bar" and a teamster hangout due to its patronage of mostly S.E. Rykoff employees. It also became popular for its large, tasty burgers served up by an elderly lady named Doris. Later, 7 Mile House made news with a raid by the FBI—it was believed that its old owner was top bagman in Northern California for Ron "The Cigar" Sacco, the most successful bookmaker in history. It took years to shed this less-than-savory reputation. Today, 7 Mile House is the most popular dining and entertainment venue in Brisbane, boasting great food, drinks, sports via satellite and live entertainment every single night. And no matter what decade or what curious activities occurred within its walls, all its guests—old and new—agree that 7 Mile House was and will always be a safe place; a place where everyone feels at home. 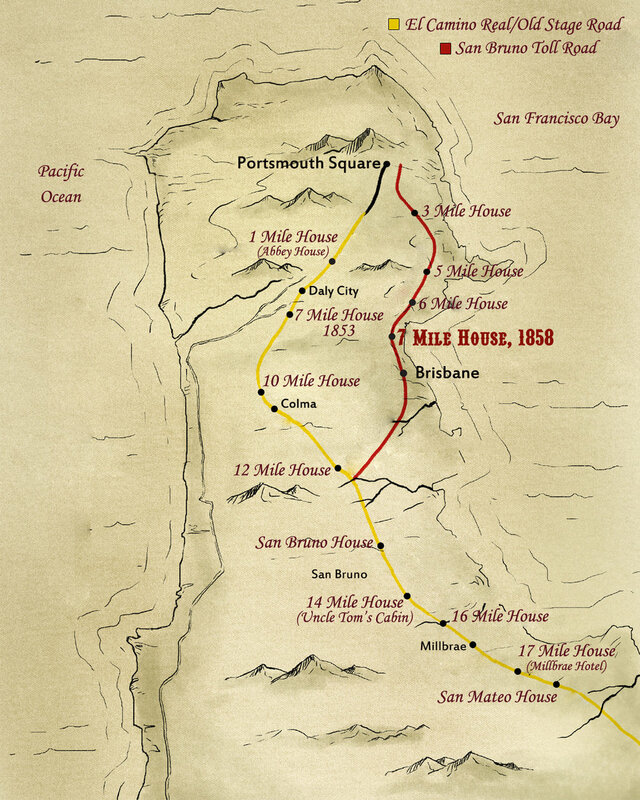 Learn more about 7 Mile House's fascinating history in "See You at the Seven: Stories from the Bay Area's Last Original Mile House," by 7 Mile House owner Vanessa Garcia, co-authored and edited by Regina Abuyuan. Click here to purchase the book. Vanessa Garcia, originally from the Philippines, was a drummer, backup singer and original member of the Philippine-based all female pop-rock group 'Prettier Than Pink'. In 1996 she moved to the US, and graduated from Golden Gate University with a Masters in Science degree in Public Relations (1999) and worked as a PR consultant for technology companies such as Sun Microsystems and Sybase. Using only her music and PR background, Vanessa took over 7 Mile House in 2004 and turned it into an award-winning family and dog-friendly restaurant, sports bar, and live music venue. She is also a pioneer of the Filipino food movement in the Bay Area, introducing dishes like adobo and sisig to a mostly American and Italian menu. 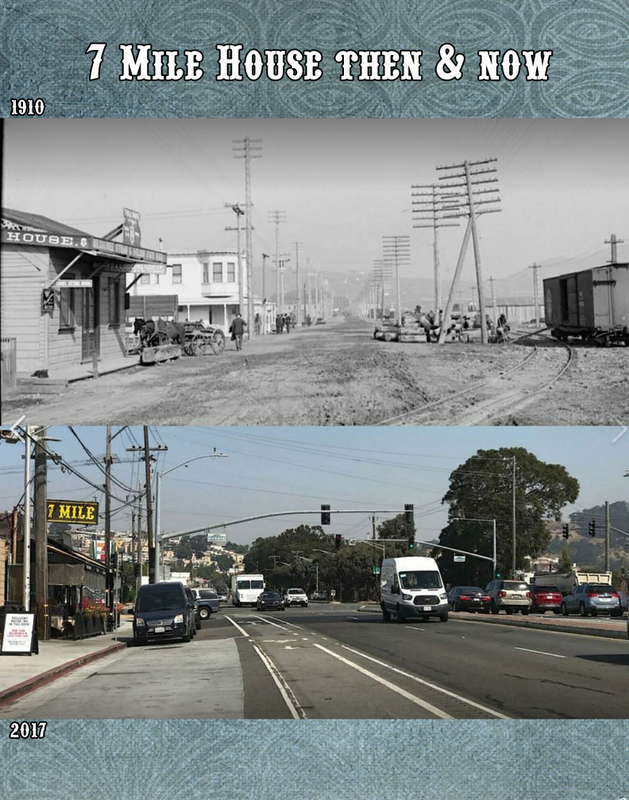 Garcia recently wrote and self-published the book, 'See You at the 7 - Stories From the Bay Area's Last Original Mile House', positioning herself as a historian and guardian of iconic 7 Mile House. We wrote a book! 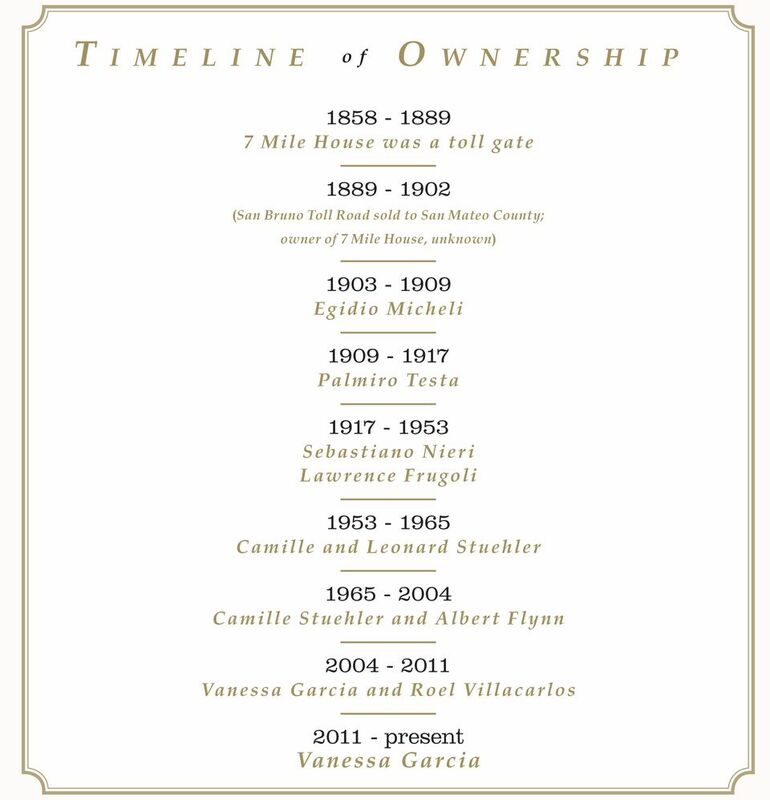 "See You at the 7 - Stories From the Bay Area's Last Original Mile House"